Although dairy pastoralism once made Mongolian steppe herders successful enough to conquer most of Asia and Europe, the origins of this way of life on the East Asian steppe are still unclear. Now an international team of researchers led by the Max Planck Institute for the Science of Human History has uncovered evidence that dairying arrived in Mongolia as early as 1300 BC through a process of cultural transmission rather than population replacement or migration. Researchers analyzed human remains from six sites in northern Mongolia associated with the Deer Stone-Khirigsuur Complex (DSKC). “The DSKC is well-known for their monumental architecture, including upright stones with deer and other motifs, and large stone mounds, often associated with one or more human burials,” explains co-first author Shevan Wilkin of the Max Planck Institute for the Science of Human History. 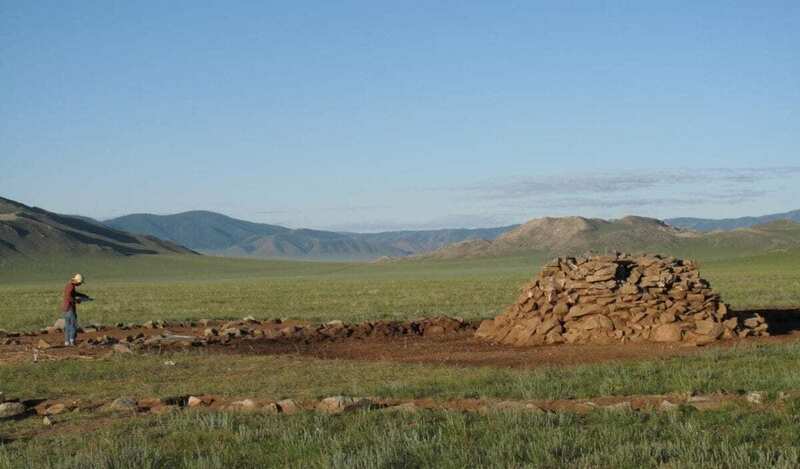 “In some locations, these structures are highly conspicuous and visible from great distances.” The DSKC is the earliest culture associated archaeologically with pastoralism in Mongolia, with sites containing bones of sheep, goat, cattle and horse as early as the 13th century BC. However, to date no direct observations of dairy consumption had been made in this area.